I firmly believe we all have an innate desire to preserve...namely to preserve special experiences; and while most of us have good intentions to do just this, we often have trouble following through. Why? Well, I know for me the task often seems daunting as I feel like I need to make a photo book every month, or scrapbook a bajillion pages (lots of time and $). These days, I need "easy" and this simple method of preservation is just that! Recently, I created a keepsake for my newborn son Gray, but you could follow the same instructions for a birthday, wedding anniversary, shower, etc. Step 1: Gather all gift tags and cards. Step 2: Stack in order of size with your larger cards being on the bottom of the pile. Step 3. 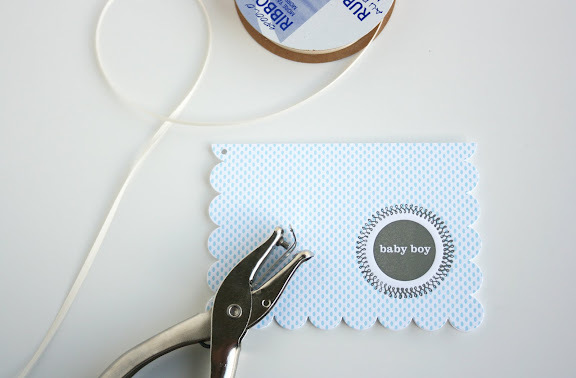 Using a 1/8 inch hole punch, place a hole in the top left corner of the card/tag. Step 4: Slide a piece of thin, satin ribbon through the stack and tie a bow (one roll is 50 cents at any craft store). 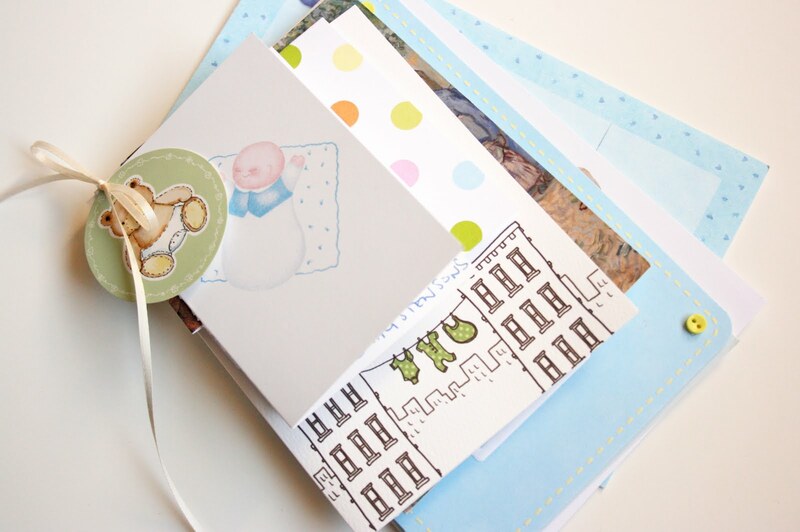 Because the cards are adhered together with a simply piece of ribbon, you can easily add more cards. Just think how fun it will be to read these cards someday in the future! I love this idea. Easy is the name of my game with multiple children, right? I think this would be an easy way to preserve our children's birthday cards. Great idea. It goes back to the old saying about a small action being bigger than the largest intention. I should totally do this for my little roo.. (I have a drawer full of baby shower cards from friends... definitely something I want to keep). Thank you so much for sharing the great idea! I love, love, LOVE this idea! I've been collecting everything in an acrylic box from the Container Store. Now I've got a new way to preserve them. Many thanks! Such a cute idea. I have all of my son's cards upstairs in a bag. I'm going to do this to them FOR SURE! This is such a great idea. Such a great way to keep all the cards together and pretty. That is a brilliant idea! I am definitely going to do this for my 1-year-old son. I have a stack of cards just waiting to be somehow preserved. Thank you! I always had a 'special box' growing up, with cards, letters and momentos from life. I have started one for my own son, and this is a perfect idea to keep them together by occasion too...birth, 1st birthday etc, etc. Lovely idea!